Club Sports and Intramurals: A great way to get some exercise and become involved! This blog post was originally published on December 9, 2014. 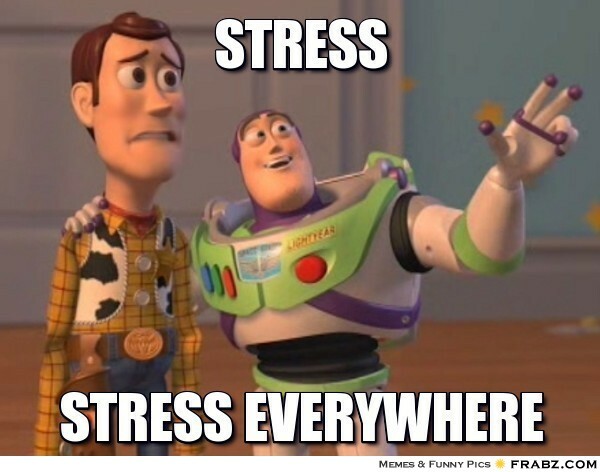 With the end of the semester come finals, and often, lots of stress. But the good news is at the end of the week you are done (congratulations)! 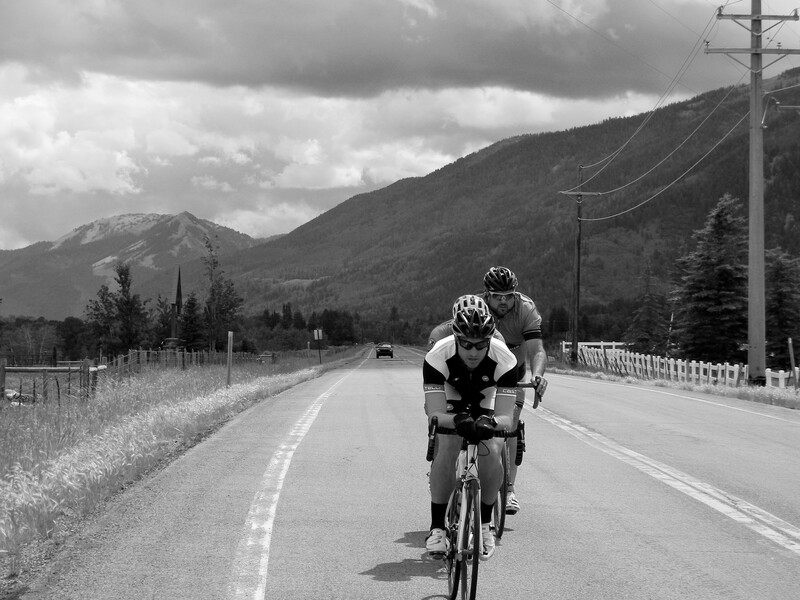 Whether you finish strong or limp across the finish line, the semester is over and you cannot change the past. What you can do is enjoy your time off, get some rest, and look to the future and a fresh start in January. And if I may, I would like to make a recommendation for the spring semester: do something new and something that will help you with all that stress that school can bring. Become part of some sort of extracurricular physical activity, preferably one that gets your heart rate up. 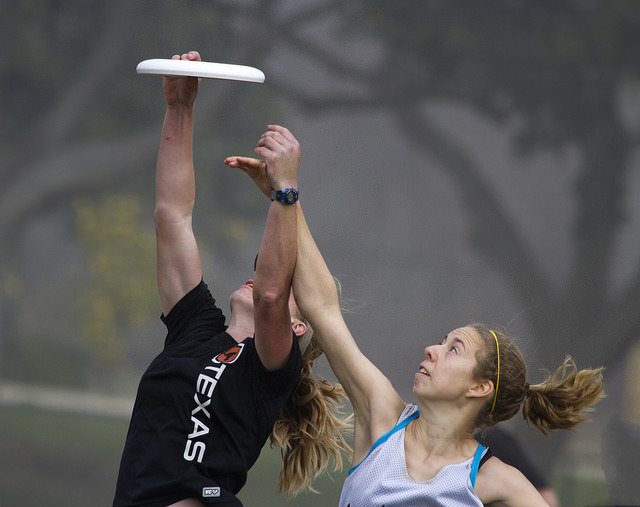 Photo: Going up for the frisbee in the fog by Nathan Rupert, Flickr Creative Commons. Now before you say, “I don’t have time for exercise,” or “but I don’t like to exercise,” stop. One, you do have time for a little exercise, but often you will not do it unless you set aside a time for it. If you continually say, “I will exercise when I have free time,” you will always find something else you could be doing. Additionally, if you have hours and hours each month to check Facebook, tweet, Instagram, watch movies, online shop, play video games, or any other things that your normal day entails, then you likely have time for some exercise. Second, exercise will help all the other parts of your life as well. So many studies show that exercise not only improved physical health, but mental health as well including stress and depression. And if you don’t like to exercise, fear not! There are many options for exercising that don’t feel like a chore, including many club sports and intramural activities. For me, physical activity means getting into the Carolina North Forest for runs, and joining road bike group rides in Chapel Hill. In addition to this, last year I joined the UNC Cycling Team, which includes a wide variety of individuals who have all different ability levels and who enjoy all different types of biking. Maybe this is something you would like to try, but if not, there are so many opportunities to participate in club sports, and intramural activities here at UNC. These include: basketball, soccer, tennis, ultimate Frisbee, football, rugby, and so many more. These are great opportunities to meet people, create social networks, and get exercise at the same time. These also can be really helpful for motivation on those days when you would rather just curl up in bed, but you know that getting some exercise would be good for you and you would enjoy doing it once you got out there. Not everyone is self-motivated, however, how or why you get out there is not the important thing, but rather that you get out there. So, if you’ve wanted to become involved with some sort of sport or activity, there’s no time like the present. This is the perfect time and there are so many options to choose from. After all, college is about trying new things and meeting new people. It is also about becoming immersed in the culture and involved with the school. What better way to do that then with a bunch of other students, faculty, and staff that like doing the same things that you do. Your heart, your head, and your grades will be better for it. Spring can be a stressful time for any student. From first years looking for summer work to seniors searching for long term jobs after graduation, the anxiety that comes with searching for opportunities and applying for positions is something everyone experiences. It can often feel like you have sent out dozens of applications and resumes without receiving any sort of validation from your efforts. Balancing Spring semester academic work with job hunting further complicates our lives. Tomorrow is Valentine’s Day, where chocolates are shared and love is in the air. Take a visit to Walmart or the Dollar store and you’ll find yourself surrounded by heart shaped gifts, balloons, and chocolate. February is also the American Heart Month, which the United States observes to raise more awareness about the nationwide issues of heart related diseases. 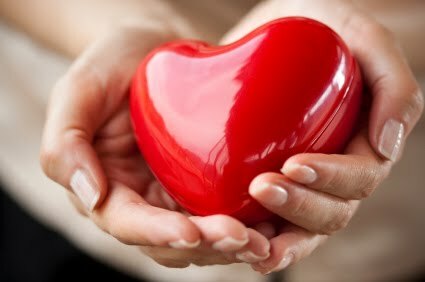 While February is American Heart Month, every month should be spent taking care of your heart. Even now, while you’re in school in, there are some steps you should be taking in order to prevent issues in the future. According to the Centers for Disease Control and Prevention (CDC), “715,000 American have a heart attack and about 600,000 people die from heart disease in the United States each year.” Heart disease is the leading cause of death for both men and women. 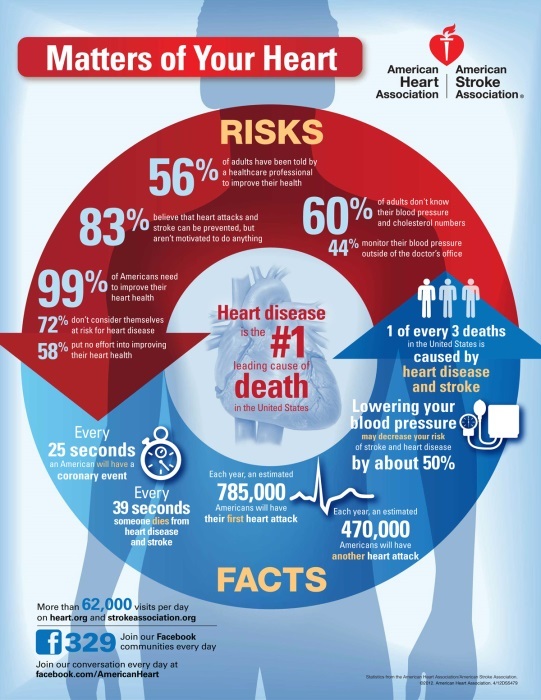 Heart disease doesn’t single out the heart! Heart disease is a term to refer other types of heart conditions related to the arteries and veins that ultimately affect the heart. Eat healthy. It’s the obvious yet hardest to maintain. There are many resources on the internet such as information provided on American Heart Association site and under Nutrition Health Topics on Campus Health. Stress Management. 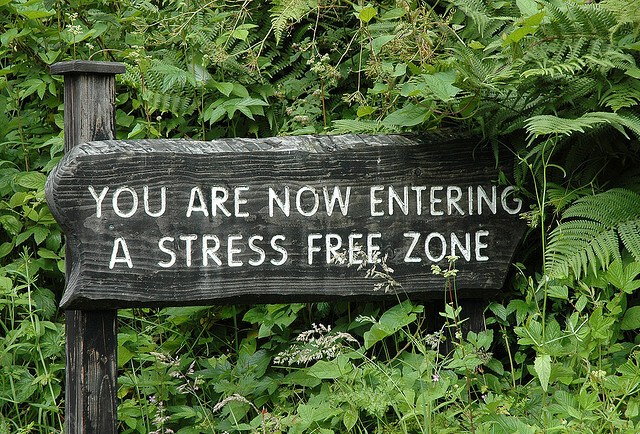 Begin building healthy habits and ways to manage stress. Talk to family and friends, get organized, and try to identify what is causing your stress. If you are worrying about something try an activity you enjoy to take your mind off of it or take action steps to counter the issue. If you need assistance talking through your stress Counseling and Psychological Services are here for you. Exercise regularly. Go on a walk with a friend or join a UNC intermural sport team. There are many ways to stay active! Being physically healthy is another method of stress management. You can find ways to stay active and even how much physical activity is healthy to engage in on the Centers for Disease Control and Prevention site or check out the special events at Campus Rec! Don’t smoke. This is the hardest of all and yet the easiest single action to curb heart disease. Consult with a Quit Smoking Support Group or head to the Healthy Heels Shoppe in Campus Health for cessation aids. The current financial situation in the US hits on many levels for students. For many students, it’s personal – your savings, credit card bills, and fun money. For many students, it’s all of these things and the larger picture – the future of the our society. It’s easy during times like these to get stuck in a negative frame of mind. We encourage you to consider some quick ideas for staying positive. Pay attention to the news, but give yourself a break. You cannot change the country’s economic state by worrying about it for hours on end. Consider setting a time each day to check in on what’s happening, and then letting it go when that time has elapsed. Use your mental energy to think about things you can control. What about your current situation is causing you stress? What can you actively do to change that situation for the better? Remember the basics of stress management. Seek support from friends, family members, and advisors. Do the things that bring you joy, and particularly seek the ones that are cost free! Examples might include: taking a walk on a brisk sunny day, practicing deep breathing, going for a jog, playing cards, journaling about your feelings, watching your favorite movie on your computer., or calling your best friend. Re-frame! How might you view this situation with a positive spin? What are the good things that can come out of challenging times?